A fresh investigation against the Gas Authority of India Limited (GAIL) was ordered by the Competition Commission of India (CCI) for alleged abuse of dominant position in natural gas supply, as per media reports. The CCI’s probe is followed by the complaint by Uttar Pradesh-based glass-bottle manufacturer Mohan Meakin, reported a national news agency. The company is alleged to have violated Section 4 of the Competition Act that is related to the abuse of dominant market position. This is the second time in less than a week that the company has come under the lens of the watchdog for alleged unfair business practices. GAIL was trading in the red zone at Rs 377 per share, down by Rs 7.15 per share or 1.86% on Tuesday morning hours. 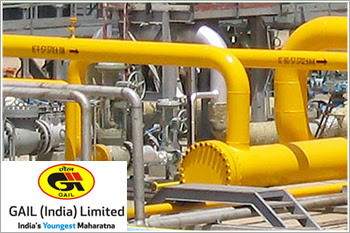 GAIL is an integrated energy company in the hydrocarbon sector. The company is engaged in gas marketing.